Join Chef Jeff and the team as we explore our new Spring menu offering. 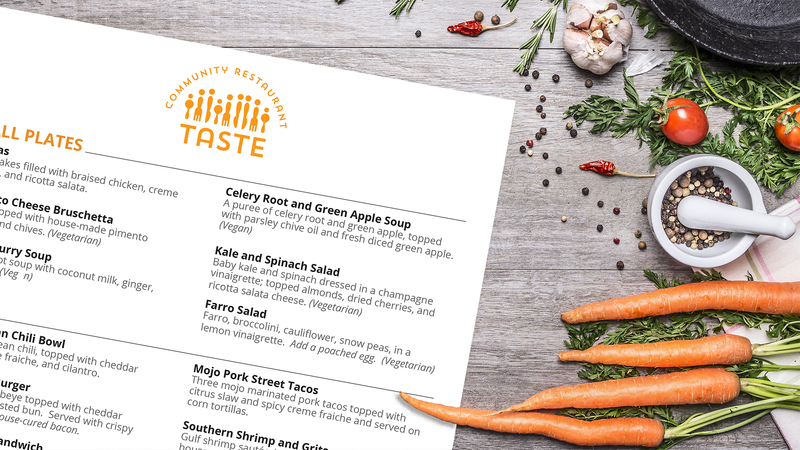 Our menu changes as often as the seasons; this is your chance to be the first to taste and see what spring will bring at Taste Community Restaurant. Chef Jeff will prepare a series of small bites from our new menu. He has chosen a mix of healthy and hearty meals to accommodate the foodies in the neighborhood while also remembering this may be the only meal some of our guests eat all day. We will also provide you an update on Taste Community Restaurant and what to expect this Spring.